Morris Hall Meadows at Lawrenceville was conceived and developed with innovative ideas about engaging the mind, body and spirit of our Elders. Morris Hall Meadows is an elder-centered model that places the maximum possible decision-making authority into the hands of the Elders or those closest to them. 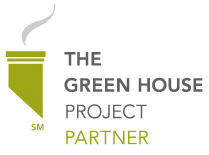 Following The GREEN HOUSE® model developed by Dr. Bill Thomas, we emphasize three core values: a Meaningful Life, Empowered Staff and a Real Home. We focus on community, compassion and comfort for every individual, in an environment that provides outstanding physical and emotional support. Morris Hall Meadows elders live in actual homes offering more privacy and comfort than traditional nursing home settings. Each of the thoughtfully designed single-level homes has ten private bed-and-bath suites overlooking our beautifully landscaped grounds. At the center of each home is a spacious hearth room with a fireplace facing a comfortable patio, a shared dining room, an open kitchen, as well as a spa area and a cozy library, which is accessible to elders and their families at all times. Our goal is for each Morris Hall Meadows elder to have a meaningful life with as much autonomy over his or her activities as they choose. Elders control their own daily routines and rhythms for waking, sleeping, meals, self-care and alone time. Each has direct involvement in his or her own care plan, and all elders enjoy formal and informal opportunities for engagement inside and outside of the home. Elders’ health care, wellness and social needs are supported attentively by our multi-disciplinary staff of professionals. This care team devotes themselves to knowing each individual and their families with the aim of providing the utmost care and attention. Each house at Morris Hall Meadows is staffed by a self-managed team of workers called Shahbazim who are present at all times for the needs, care and comfort of the elders. Each Shahbaz is carefully selected for her or his ability to provide compassionate care to each individual, and to thoughtfully monitor the elders’ well-being. They work in concert with the clinical support team to constantly provide optimal care to each person in residence. Morris Hall Meadows is a Medicare and Medicaid approved skilled nursing facility. Elders will have access to a vast array of services, further complemented by the therapy resources of St. Lawrence Rehabilitation Center. Transporta tion, spiritual care, security and a stimulating array of daily activities will all help to make life at Morris Hall Meadows enjoyable and fulfilling. for waking, sleeping, meals, self-care and alone time. Each has direct involvement in his or her own care plan.